After you have begun to absorb the truth of the shock of a cancer diagnosis, you may sense that a preventable failure occurred somewhere along the way. Didn’t you get a physical last year, complete with blood work, and receive a clean bill of health? How is it, then, that now you learn that your breast cancer or colon cancer has progressed to an advanced stage? To discuss your doubts, fears, and questions regarding a failure to diagnose cancer with an attorney, contact the law offices of Ron Bell in the Libertyville area to schedule a preliminary case evaluation. If Mr. Bell believes you may have a case, he will prepare you to make a decision as to whether to pursue a possible medical malpractice claim. 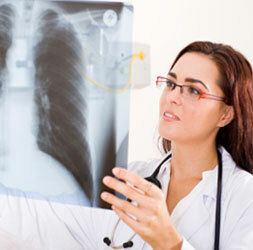 Did a Radiologist’s Error Lead to the Failure to Diagnose your Cancer in a Timely Manner? In order to determine whether a radiologist’s failure to diagnose cancer in a timely manner in the recent past may have contributed to your prognosis today, Mr. Bell will help you begin the process of obtaining all original images: film X-rays, or digitalized electronic imagining. Your doctor may have relied on a radiologist’s verbal report without ever having seen the image that was the basis of the diagnosis. The task of your Illinois medical malpractice lawyer will be to uncover the point in the progression of your medical screenings where the cancer diagnosis error occurred. Attorney Ron Bell has extensive experience as a trial lawyer handling a wide range of legal practice areas. 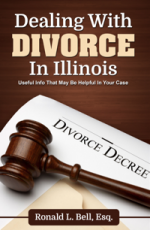 His advocacy skills have resulted in favorable outcomes for many satisfied clients. To schedule a consultation with an experienced Illinois medical malpractice attorney after a physician failed to diagnose cancer in a timely manner, contact Ronald L. Bell & Associates, P.C. at 1-847-495-6000.